Barbie™, Hello Kitty & Sorakara-chan Collaborative Events at Tokyo Skytree. Tokyo Skytree is collaborating with Barbie™, Hello Kitty and its own mascot Sorakara-chan this year with in a series of event. The Barbie™ event will celebrate 60 years of the internationally loved fashion doll for her “Inspiring Girls Since 1959” project. The Hello Kitty event commemorates Hello Kitty’s 45th anniversary, and the Sorakara-chan event is in promotion of the mascot’s new dance show. 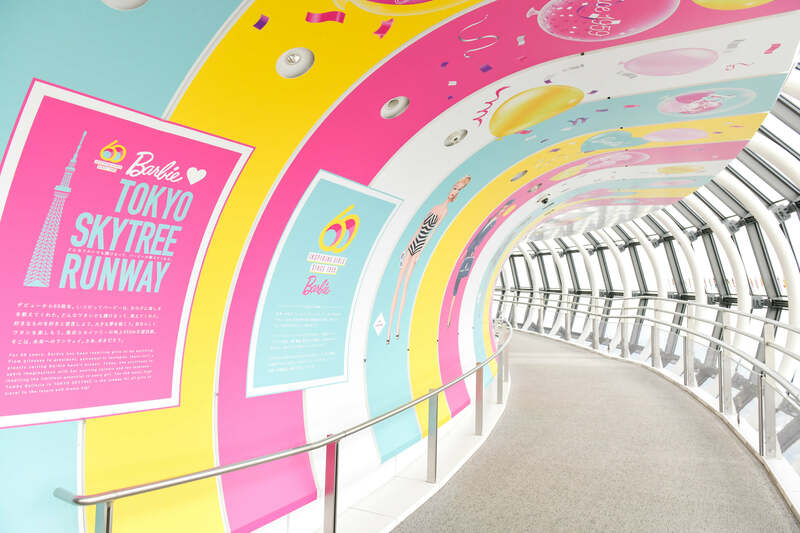 Barbie™ has taken over the Tembo Galleria floor of Tokyo Skytree and will do so until May 6. The Galleria is decorated with all things pretty and pink with a dress room, runaway, closet and more, all to have you feeling like you have shown at a fashion show. Down at the SKYTREE CAFE on floor 340 there is an exclusive Barbie™ themed menu. Exclusive merchandise you can’t get anywhere else is also being sold and a stamp rally is taking place where you can receive a limited edition novelty by collecting all the stamps. 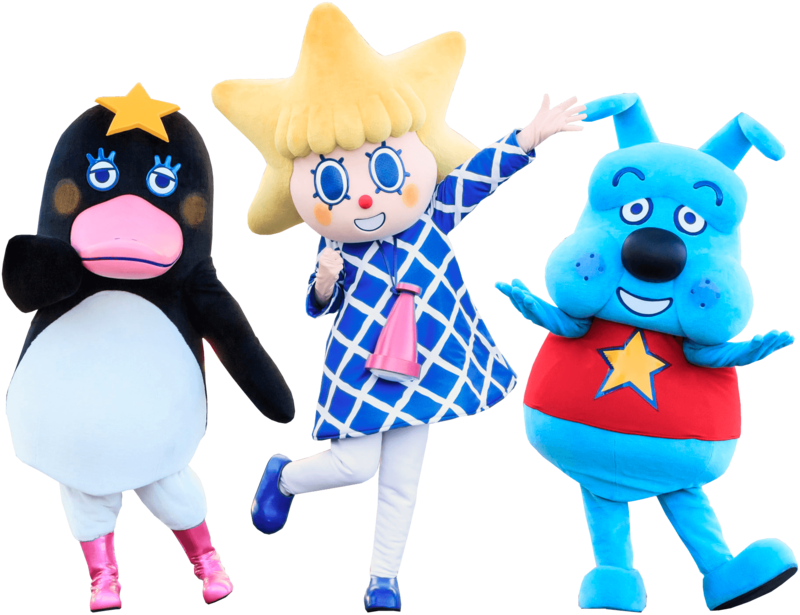 A new show featuring Tokyo Skytree’s official mascot characters Sorakara-chan, Sukoburuburu and Teppepen will run at the Sky Arena located on the 4th floor of Tokyo Skytree Town from April 27 to May 6 at 11:00, 12:30, 14:30 and 16:00 everyday except on Mondays and public holidays. The characters will appear in new costumes and entertain the crowd with a cute dance show. 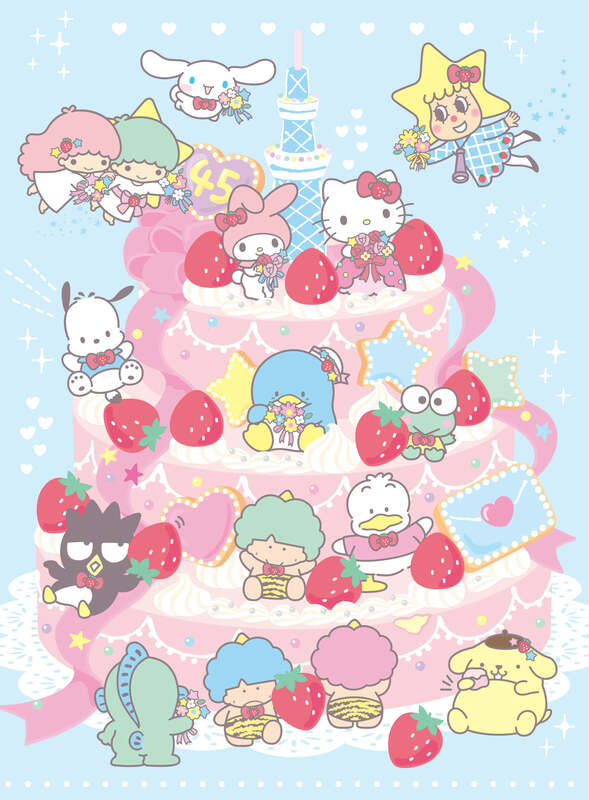 The special Hello Kitty collaborative event will run from May 7 to July 17 up on Skytree’s Tembo Galleria. Celebrate her 45th anniversary up in the clouds with and enjoy a themed menu, exclusive merchandise, photo spots and illustrative displays. There is always something fun happening at Tokyo Skytree. If you’re in the city be sure to check out the events up the tallest tower in the world! Next » Barbie™, Hello Kitty & Sorakara-chan Collaborative Events at Tokyo Skytree.